How important is color to your customers? According to KISSmetrics, 85% of shoppers put color at the top of their why-I-buy list. And picking the right color, whether in merchandising or product, can increase brand recognition by 80%. 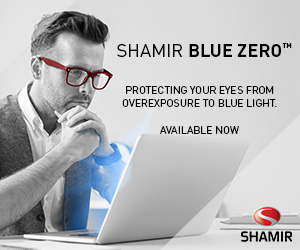 To learn more, we sought out the expertise of Eyecessorize and the Pantone Color Institute. Tip: Streamlined double-bridged rounds, aviators, basic squares plus rectangles, cat-eyes, and shields dominate “the future trend” in eyewear this spring. 80%The increase in brand recognition that can result from simply picking the right color. Here are two color trends that Pantone sees as not waning any time soon. The fashion- and lifestyle-focused online community of The Vision Council, Eyecessorize points to four key trends for Spring 2018. 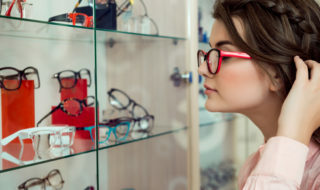 Here we look at colors, shapes, and detailing, as reported at www.eyecessorize.com, within each of those trends. COLORS: Metallic golds, silvers, gunmetals, and bronzes, plus whites, beiges, and blacks, with pops of blues, purples, and pinks. SHAPES: Streamlined double-bridged rounds, aviators, basic squares and rectangles, cat-eyes, and shields. DETAILS: Metal constructions, intertwined effects, ombre finishes, industrial additions, stripes, and temple shields, plus tinted and metallic reflective lenses. COLORS: Bold hues of reds, yellows, and blues, as well as vibrant oranges, greens, purples, teals, and hot pinks. All intermixed with the occasional neutral. SHAPES: Geometric, chunky square, oversized round, reinvented aviator, plus feline-inspired silhouettes, and sportier looks that include shields and wraps. DETAILS: Flora and fauna prints abound, accompanied by flashy lenses in brazen hues, funky cut-outs, bridges, and architectural touches. COLORS: Tortoises, grays, nudes, blacks, and navies, along with touches of rich red, pastel pink, and translucence. SHAPES: Easygoing looks in rectangular, square, round, and wayfarer shapes, along with streamlined butterflies and cat-eyes. DETAILS: Double and keyhole bridges, metal add-ons, an emphasis on the browline, plus color blocking, layered and striated effects, accompanied by muted tinted and mirror lenses. COLORS: Antique-like tones in brown, yellow, off-white, burgundy, emerald, black, and powder blue, plus muddled metallics. SHAPES: Vintage Clubmasters, wayfarers, and squared-off aviators, and throwback rounds, ovals, and cat-eyes. DETAILS: Styling that reflects many times and trends, featuring period tinted lenses in earthy yellows, ambers, and greens, along with refurbished patterns, and scalloped edges, as well as textured and gemstone effects. What color and styling trends do you see dominating the scene this spring? Tell us and share in the Facebook conversation here.